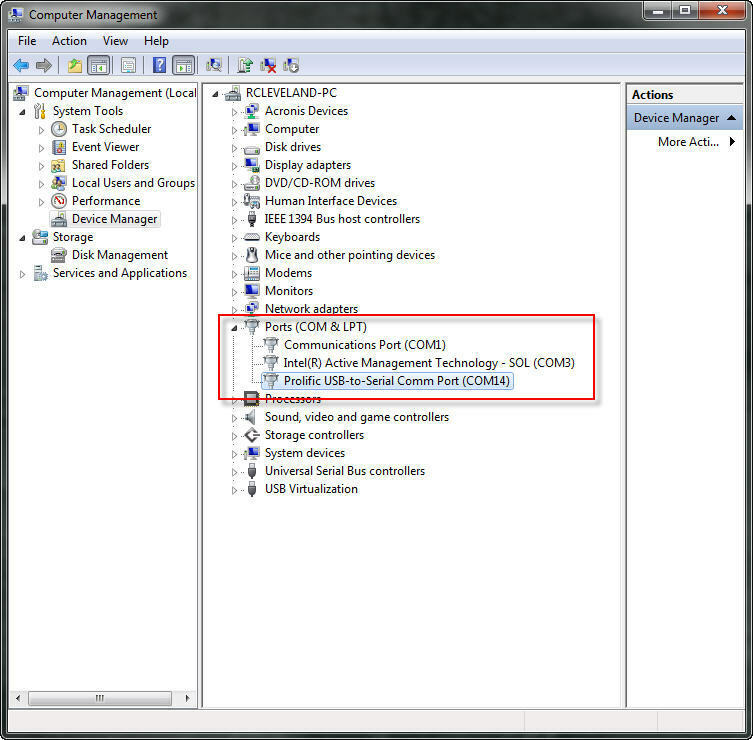 In Windows 7 you will need to access the Device Manager to look up the correct communications port number that is needed when setting up EMR software. 1. 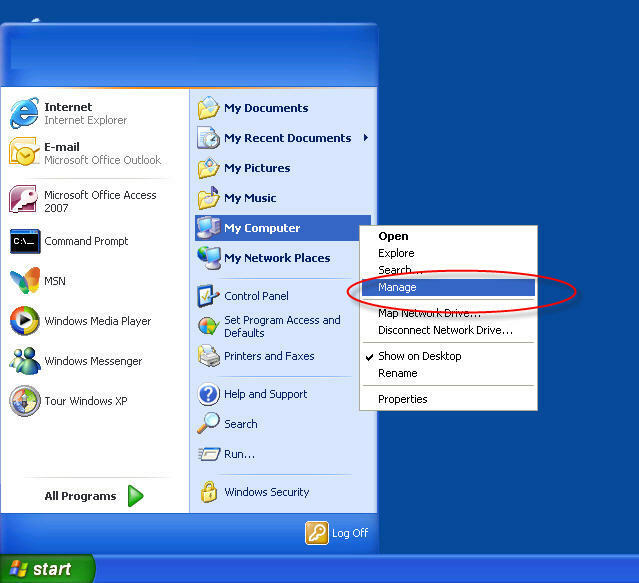 Open the Start Menu and locate the entry on the right side of the menu labeled Computer and right click on it. 3. 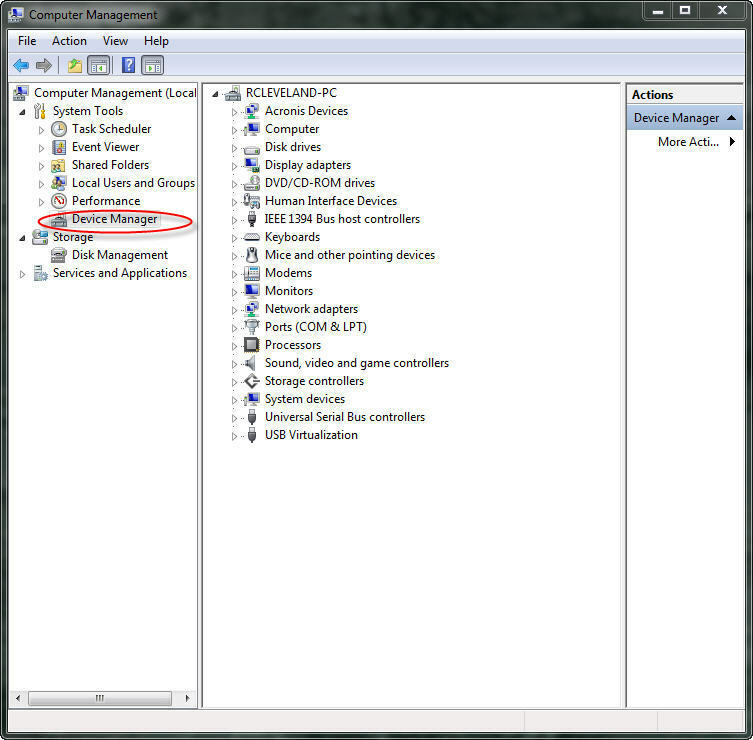 The Computer Management application should load. 5. 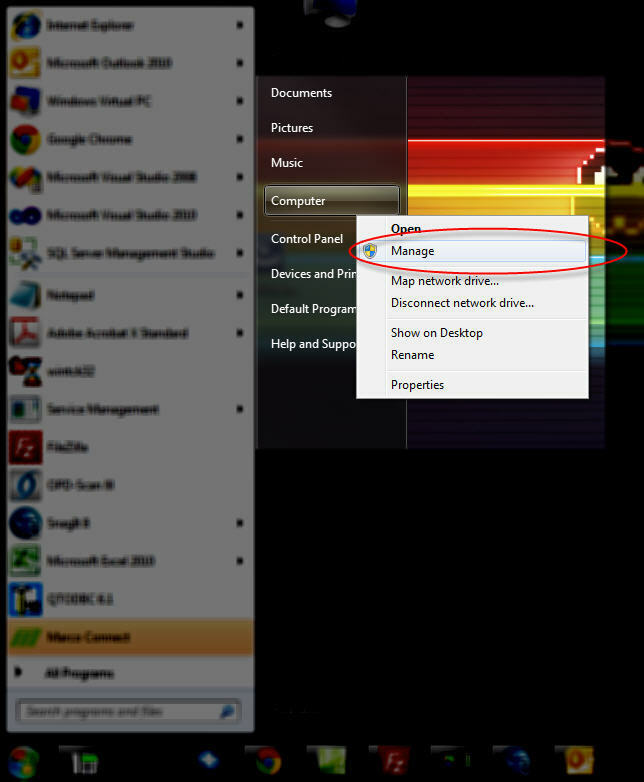 Locate the entry on the right side of the screen labeled Ports and expand this by clicking on the small arrow on the left. 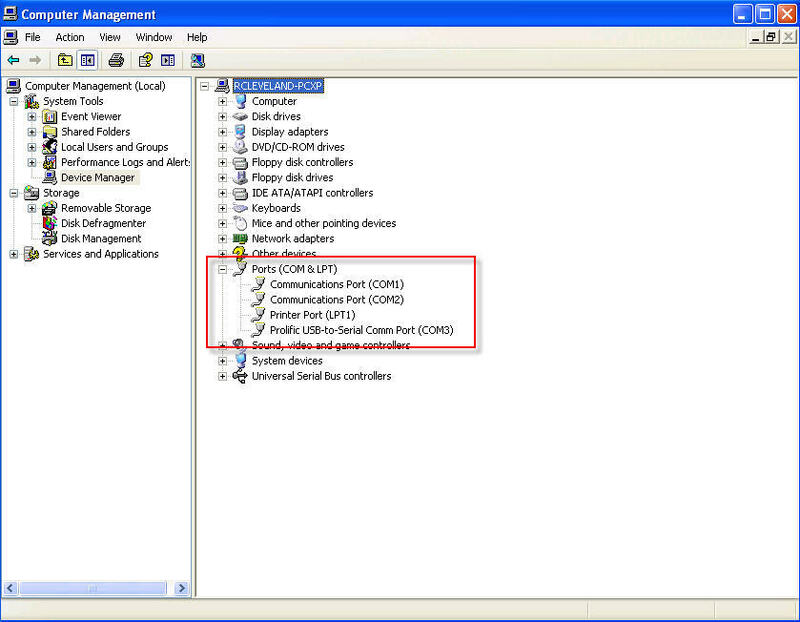 In Windows XP you will need to access the Device Manager to look up the correct communications port number that is needed when setting up EMR software. 1. 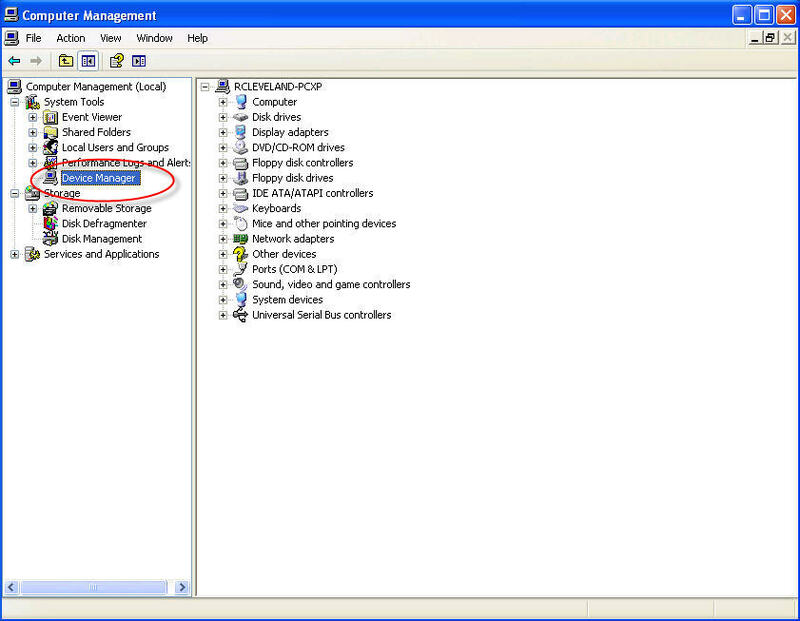 Open the Start Menu and locate the entry in the menu labeled My Computer and right click on it.